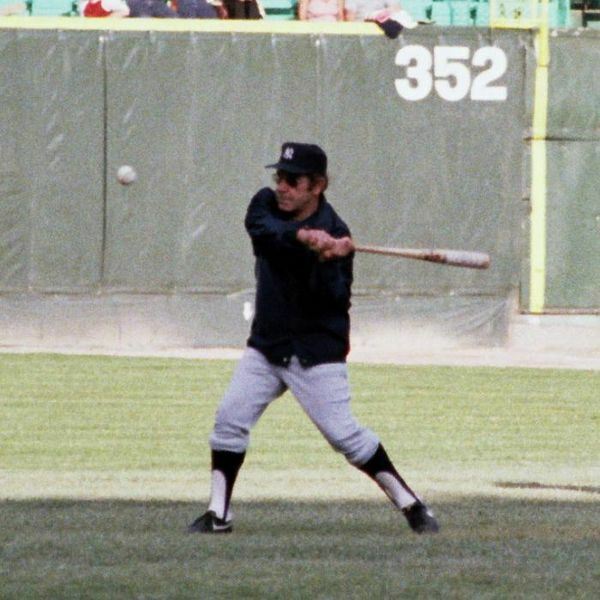 Lawrence Peter, more popularly known as Yogi Berra, is one of the most cherished names in the history of baseball. However, it’s not just his baseball that he is famous for; the other things that make him famous are his rather notorious quotes. Even on the field, he was well-known for using his quirky talk to distract the opposing batters. On the surface level his quotes look deceptively simple and sometimes even outrageously funny, but a closer look often suggest deeper meaning. So here’s our attempt at turning Yogi Berra’s quotes into entrepreneurial advice. We’ve picked up ten of his quotes and we’ll show you how each of these are relevant to the present day business world. Read through our interpretations and you may want to christen Yogi Berra as the new business guru. Is it really possible to plan and act at the same time? In the simplest of words, if you want your business to be successful, the first and the foremost thing is to have a detailed plan in place before you go into action. Planning and action never go simultaneously; the planning phase must precede the execution phase. So, have your business plan in place before you get the ball rolling. Doesn’t that make you ask – which one? If it does, read it again. In business, diversification is the key to growth and to staying in business, and that’s where this quote would find relevance. As and when the business scenario changes, you cannot keep on with the same products and services – you need to think about expanding your reach. If you’ve reached a point, where diversification is the only way to go ahead then you need to diversify and take the forked roads. As an entrepreneur, would you foray into a market that’s already saturated? Just to clarify, the ‘nobody’ here is not for the customers in the market; instead, it stands for the businesses. When there are already too many players in the market, it makes no sense entering such a market and getting bombarded with competition right at the start. Reassess the market situation to see if it’s not already crowded, and only if you’re sure there is room for another player should you enter it. Equate it with the market or economic slump and it makes business sense instantly. What it suggests is that it’s never the market or economic conditions that are responsible for a slump in your business; rather the problem is that you’re not making the right move. Think of the recent economic meltdown, not every business suffered, there were many that continued to earn good profits. As an entrepreneur you need to understand that there is no such thing as a bad time or a bad situation, you can turn everything around if you just start making the right move. Change your strategy as and when required and you’ll never complain about another ‘slump’. This one is simple to interpret and relate with business. It just hints at why and how important it is to define your business targets. If you don’t have clearly defined targets, you will never be able to achieve them and what you may end up with may be something you never wanted. used only for the non-essential business purchases. Definitely if it’s future, it cannot be what it used to be. Entrepreneurs and businesses must understand that future projections cannot be completely based on past trends. The future is uncertain and every business must stay geared up to fight these uncertainties. When looking for ways to fight uncertainties, don’t just look for the tried and tested strategies from the past. Instead, think afresh, because the dynamics of the situation change with time and the same old solutions and strategies may not work forever. That’s the fact about competition; if your business or its products are popular, there will always be a big bunch of competitors that may dislike your business. As your business climbs up the success ladder, you should always beware of the negative reactions that may come from your competitors. When you’re in the planning phase, you rely too much on theories, calculations and estimates, but when it comes to the practical part that is execution, your plans may not stand strong. While most business philosophies may sound like the mantra for entrepreneurial success, in practice, every situation is affected by a different set of variables and that often makes even the most prudent business plan to fall flat. Having a business plan is a must, but as you roll into action and face the real situation, you may need to tweak your plans for practical reasons. This quote by Yogi Berra can be best related to decentralization and departmentalization. Decentralization often brings in some great benefits, but over-decentralization will just make it difficult to manage. The implication is similar for departmentalization. Irrespective of whether you’re splitting your organization or you’re dissecting a business process, it’s important that the number and size of the splits is easily manageable. The list of Yogi Berra’s quotes is too long; we just picked up a few of his quotes at random and tried to look into their deeper meaning. And voila, they all seem as if they were specifically given out as business advice. Do you know any other Yogi Berra’s quotes that can be turned into business or entrepreneurial advice, share them with us using the comment form below. Or maybe you have different interpretations for the above quotes; we’d love to hear those too.